This large 7" stainless steel cookie cutter makes parties a blast! Decorate with you and your friend's horses names. Each cookie cutter comes with a ginger bread recipe on the back of the packaging. 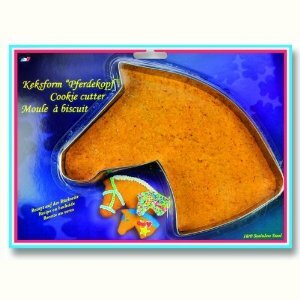 Also don't forget to make your horse a special treat!